Try this delicious Russian tea cake recipe and enter the world of Russian Tea! 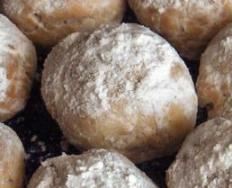 These sweet Russian Tea cookies are the icing on the cake if you are hosting a tea party or just a nice family reunion. Now let’s get you started. Imagine you have the whole weekend for yourself, the weather looks good and you want to spend time with your friends. Start planning some tea party activities, where you can have fun and relax at the same time. There are some nice tea party ideas for kids as well, so don’t forget to include them! Introduce them to this world too. Even better, why not invite everyone to the kitchen and prepare yourselves this delicious recipe? Be creative and share these fantastic moments with your loved ones. So now that you have gathered your friends, let’s see if you have all the necessary ingredients to prepare this Russian Tea Cake Recipe. 1/3 cup of confectioner’s sugar for decoration. Combine the butter and the powdered sugar in a mixing bowl. Start by mixing it slowing and gradually increase the speed to create dough that is uniform and consistent. This way you will also avoid accidents in the kitchen, like getting dough on the walls. Add the vanilla extract and mix it a little more. Now take your flour and salt and again, slowly, add them to your mixing bowl. You can gently increase the speed after a while. Get the nuts ready and add them as well. As you can see, your dough is gaining life and colour. Mix it till it becomes similar to a ball. You should let your dough cool down first. To do this, put it in a bowl and cover it. Place it in the fridge for a couple of hours. Take that time to get some tea party sandwiches ready or some tea party cookies to make this occasion even more colourful and fun! It’s time to heat your oven to 200ºC (approx. 400ºF). Take your dough out of the fridge. As you will be able to see, it has become quite hard. So you will need a spoon to help you take small pieces of it to then squeeze with your hands shaping them into little balls. It’s a good time to call for help from the children! 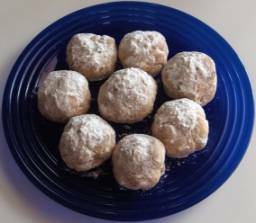 Introduce them to this Russian tea cake recipe by letting them make little Russian tea cake balls with the dough. Make as many as you can and then put them in the oven for 10 minutes. Take your cakes out of the oven. They really do look like cookies now, don’t they? This is why this recipe is also known as Russian Tea Cookie Recipe. The final step of this Russian tea cake recipe is to decorate your cookies. Put a 1/3 cup of confectioner’s sugar in a bowl and dunk the Russian tea cookies while still warm in it. Allow the sugar to melt into the ball and absorb it. Put them on a plate and they are ready to serve! But there’s more to try! Combine this treat with an amazing Russian tea recipe, if you prefer loose leaf tea, or an Instant Russian Tea Recipe, if you are keen on powdered tea. This way you can always have it ready to go. Get your Russian tea, your tea party sandwiches, and your Russian tea cake and prepare to travel through a magic world. Find out more facts about Russian tea, to better understand the history that lingers in your mouth. So have a look and enjoy yourself. This is a world you will share with your friends and family in a moment of relaxation. A moment we are glad to take part of.